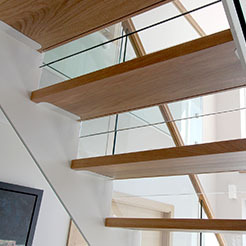 The perfectly detailed straight cut lines of the Trim staircase can reinvent any interior. 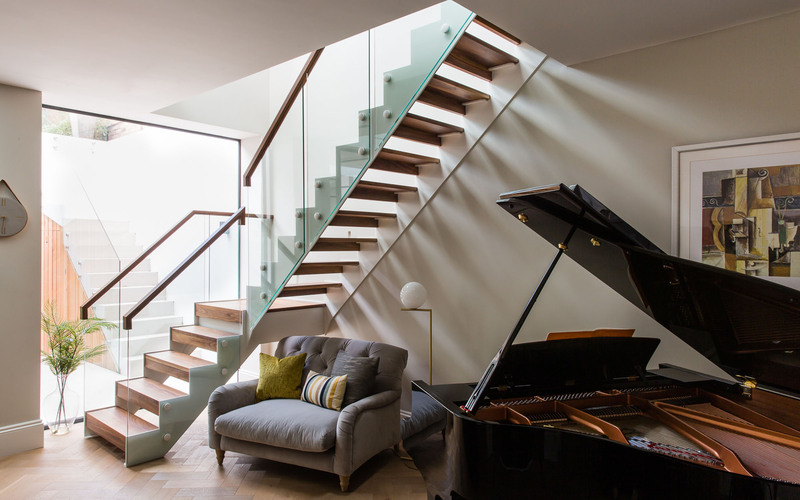 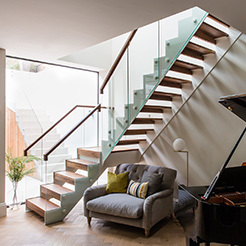 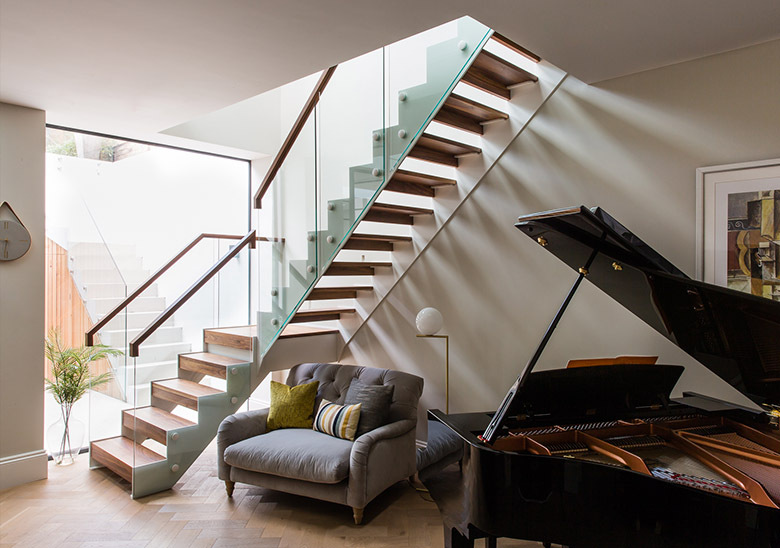 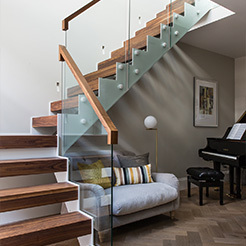 Using metal and wood elements, the Trim style provides the perfect structure whilst offering a contemporary twist on a traditional cut string staircase. 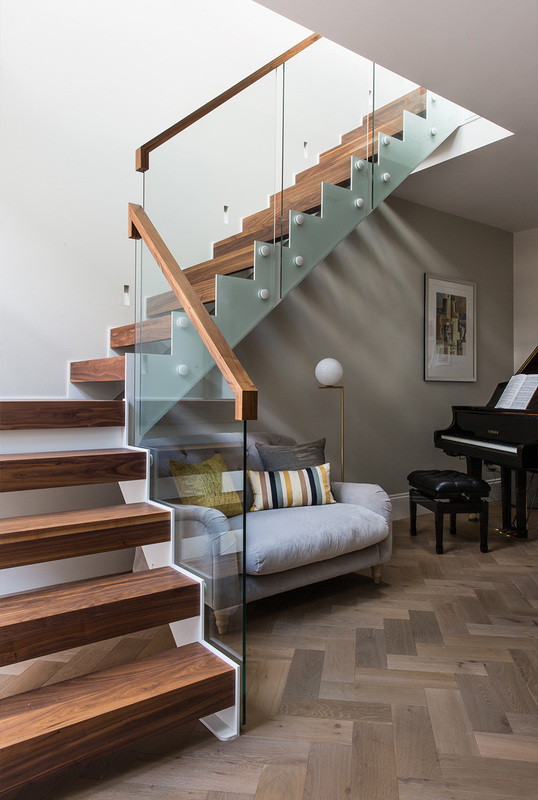 The half zigzag strings of the Trim staircase provide an additional element of geometry, creating a real striking effect. 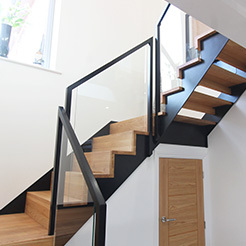 When finished with different materials and colour combinations, the overall look of this design is completely transformed, which is ideal if you are looking for a new staircase design to suit your taste. 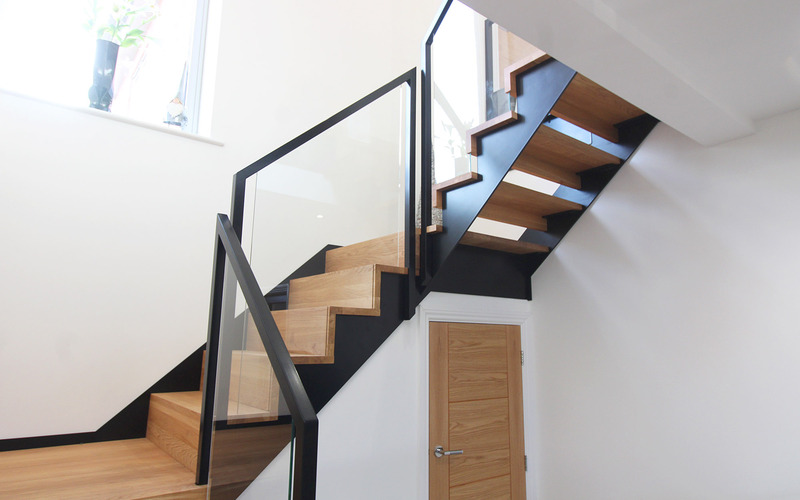 The Trim is the ideal way to create floating landings and winders with any choice of balustrade. 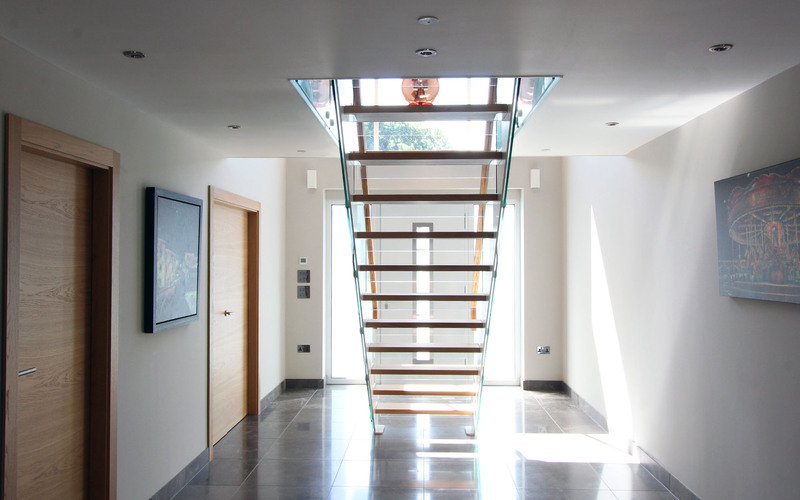 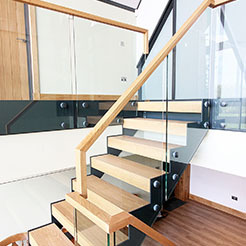 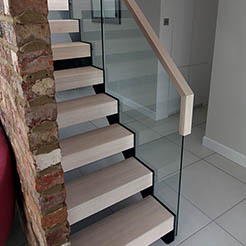 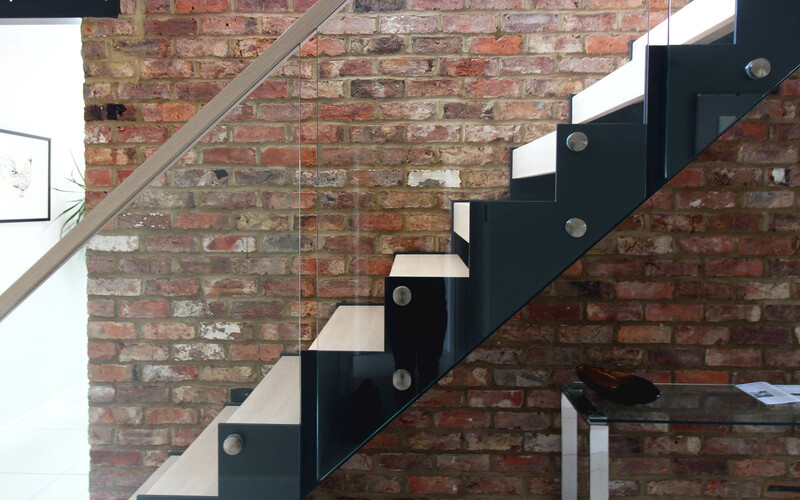 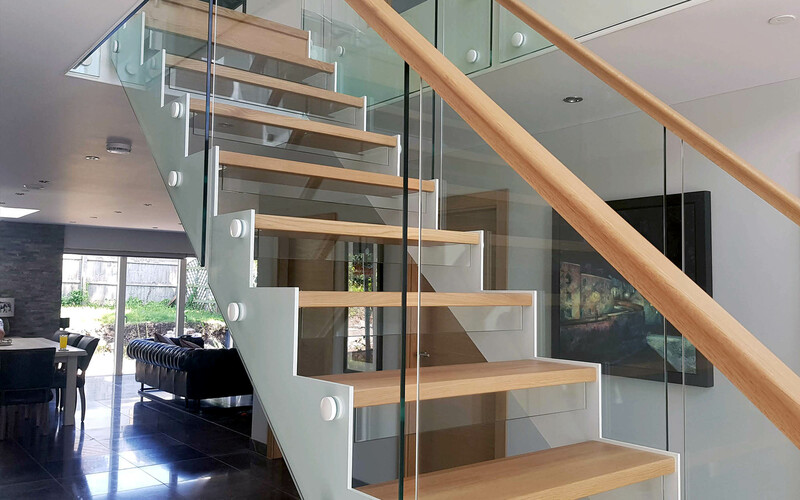 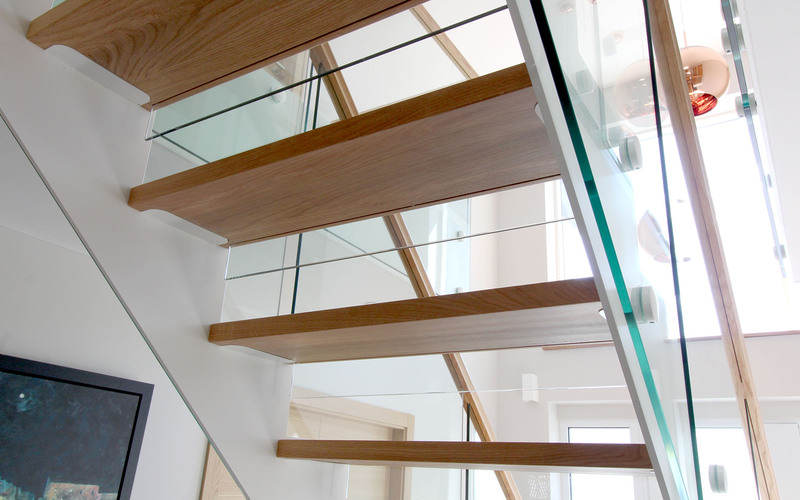 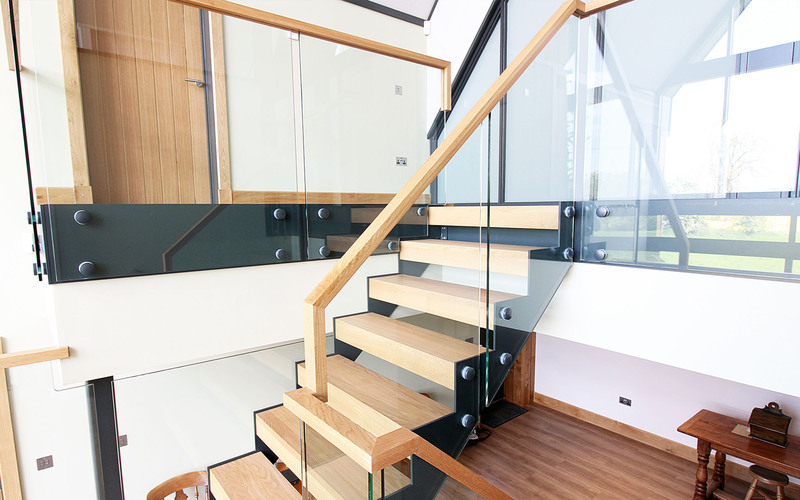 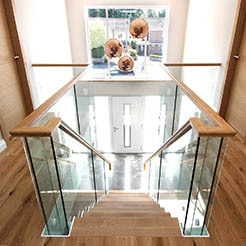 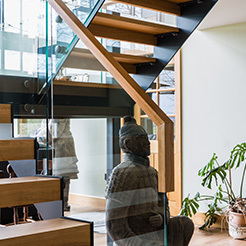 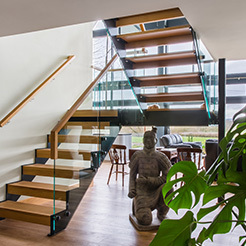 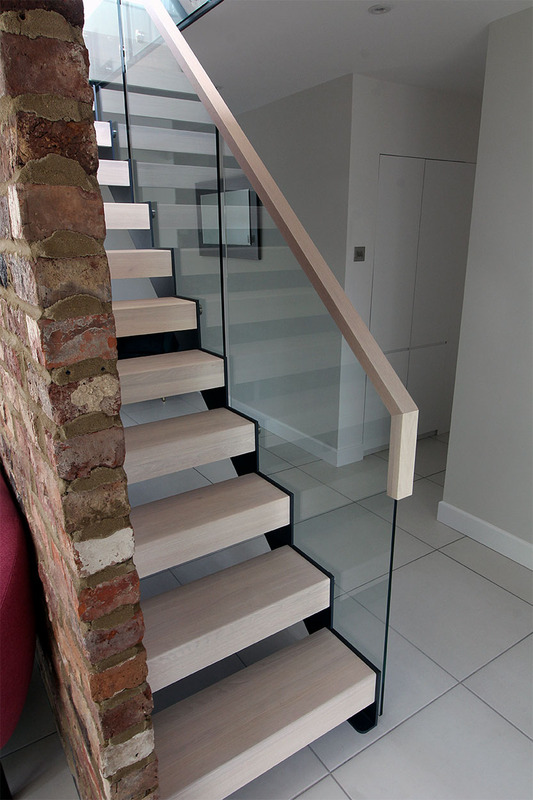 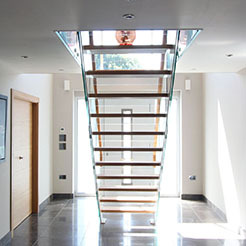 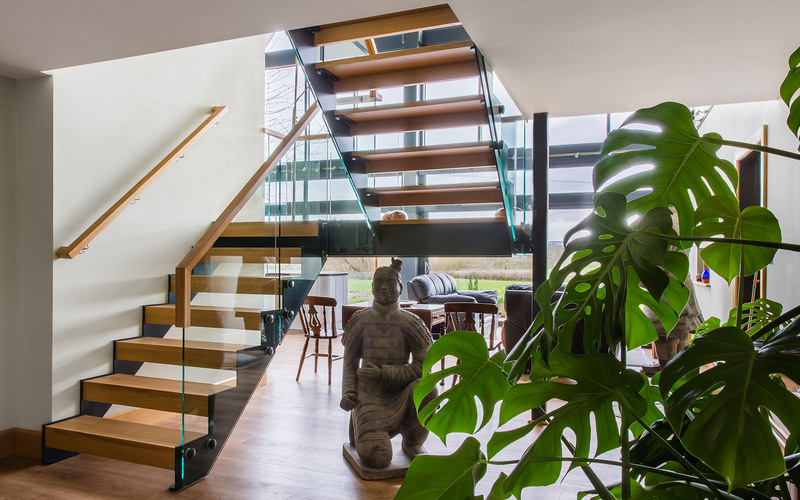 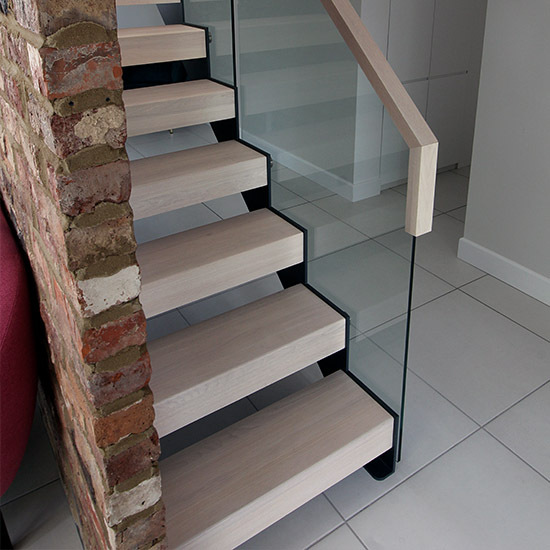 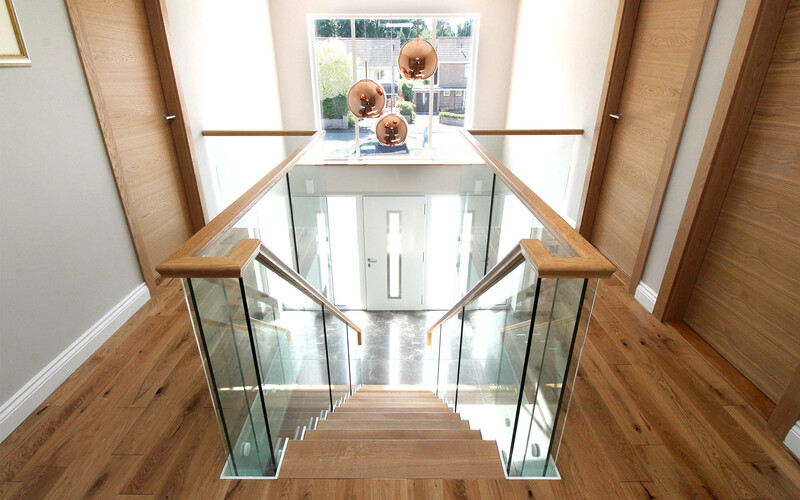 It’s bold clean lines also lend itself to frameless glass balustrades and bespoke steel balustrades systems, providing a contrast or compliment to your overall staircase style. 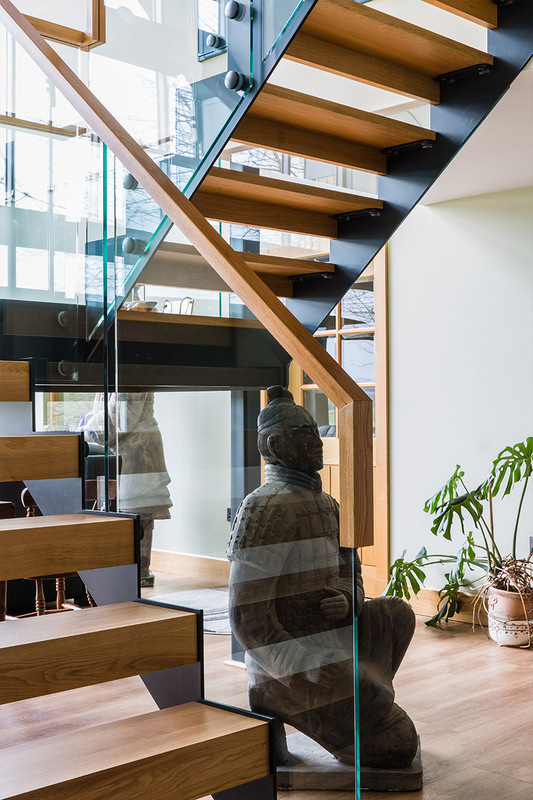 The Hughes family planned a complete renovation of their home after living there for over 15 years, this included flipping the direction of their staircase to open up their entrance hallway. 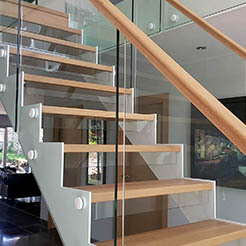 With the idea to create an open plan living space, First Step Designs were able to put together a plan of action for the joist layout and fixing points for the Trim staircase that the Hughes family had always wanted. 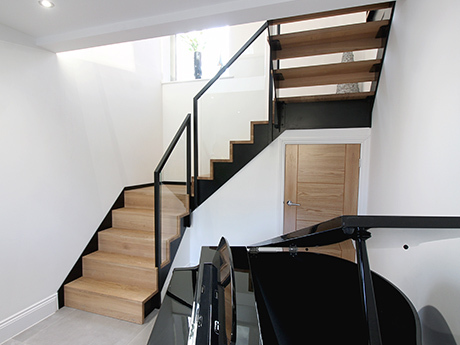 Allowing the staircase to fit perfectly. 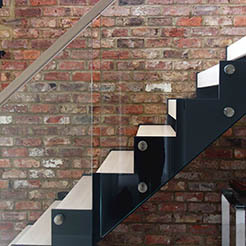 matching the interior, whilst making a striking contrast	with the anthracite grey steel components. 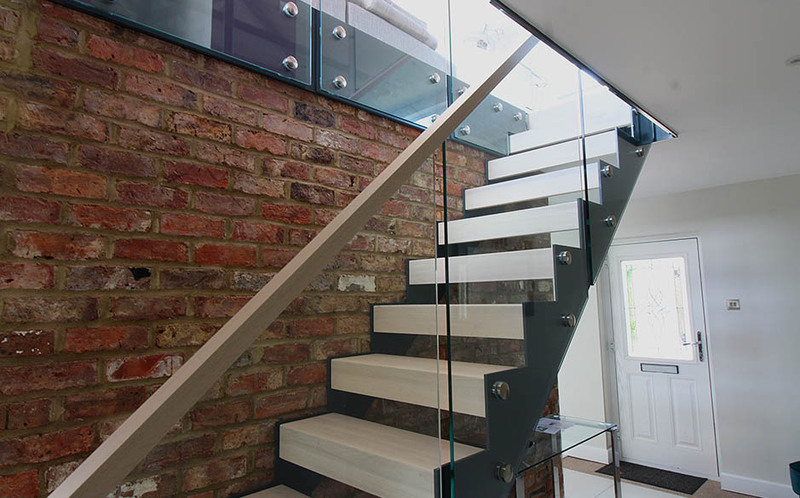 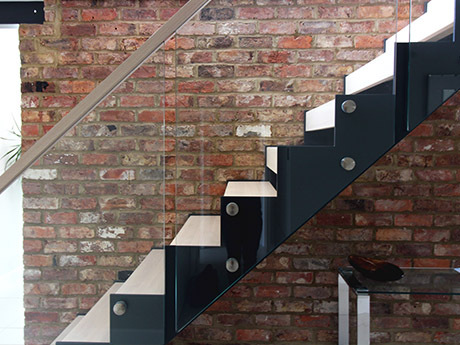 Against the original feature brick wall, the contrasts of finishes make this staircase a real statement piece of the home and make a striking first impression to guests and visitors alike.